When Methodist Specialty Care Center opened, people used a lot of flattering phrases to describe Mississippi's first residential care facility designed especially for the younger, severely disabled person. But a place to call home is the description we like best. The unique accommodations combined with skilled clinical services provide an environment where residents can thrive. Residents at Methodist Specialty Care Center stay active, socialize, learn new things, venture out into the community and enjoy life to the fullest extent possible. Examples of activities include fishing, shopping, reading, attending sporting events and festivals, web based studies, worship services and dining with friends and family. That makes the center the perfect place for those who are completely reliant on others for their activities of daily living, but don't necessarily fit or desire the traditional nursing home setting. Our Typical resident is someone age 18 to 55 who is severely disabled and must rely on others for maximum assistance with most activities of daily living. Residents generally have additional clinical needs such as bowel and bladder management, skin management, medication management and other complex, but stable clinical requirements. Examples include those who are quadriplegic due to trauma, cerebral palsy, multiple sclerosis, or brain injury; ventilator-dependent patients who are unable to wean and have reached maximum pulmonary rehab potential and are respiratory stable; and permanent tracheostomy patients who need maximum assistance with activities of daily living. In many health care systems, responding to the needs of severely disabled people is just one job among many. At Methodist Specialty Care Center, it’s our sole focus, making our staff particularly qualified to deliver a high standard of care. Our physicians, nurses, therapists and support staff possess a wealth of experience and are dedicated to helping residents live life to the fullest. Because the center is a division of Methodist Rehabilitation Center , the staff receives support through a collaborative relationship with the hospital’s outstanding health care team and researchers. This gives center residents access to knowledge about the latest medical advances in treating disabilities, including long-term experimental drug trials, therapeutic treatments and advanced assistive technology services, as well as biomedical and orthotic and prosthetic services. Methodist Specialty Care Center features all private rooms and couples state-of the-art medical technology with a warm, inviting and barrier-free environment. On each floor, three short, carpeted hallways radiate from a centralized staff area and a large living room for residents. This layout helps to eliminate the institutional feel of long hospital-like corridors while giving staff easy access to residents’ rooms. Each private room features its own large bathroom and comes furnished with a telephone, television, high-speed Internet access, discreetly concealed medical gases and the latest state-of-the art technology in clinical bed design. Rooms also can be custom equipped for residents who use voice-activated or breath-controlled devices so that residents may be as independent as possible in their rooms. 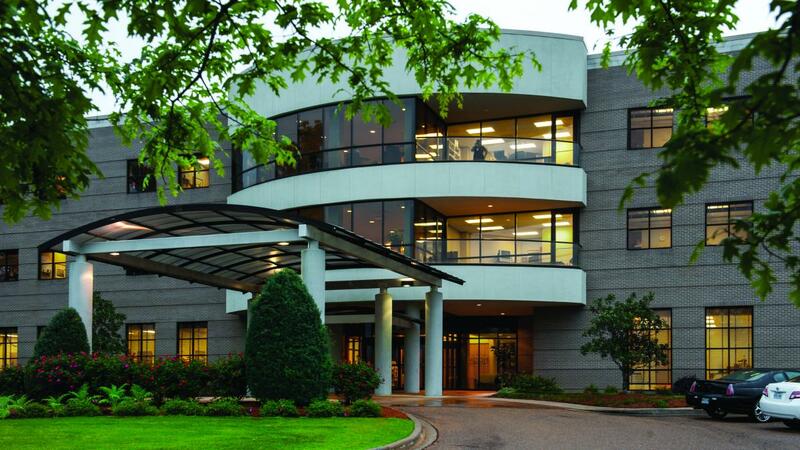 Our center is located on Methodist Rehabilitation Center’s beautifully landscaped and wooded 25-acre East Campus in Flowood, a suburb of Jackson, Mississippi. Flowood is a vibrant community with easy access to restaurants, shopping centers, hospitals, airports, hotels and major sports complexes. Since our beginnings in 1975, Methodist Rehabilitation Center has been a leader in rehabilitation research and providing services to people with neurological and orthopedic illnesses and injuries. Our goal at Methodist Specialty Care Center is to continue our proud tradition by providing a caring environment that enriches the health and well-being of residents and their families and respects the unique contributions of each individual. Residents are encouraged to strive for the highest level of independence possible, and every effort is made to fulfill their clinical, social and spiritual needs. We are currently accepting new applications for residency. Occupancy rates at Methodist Specialty Care Center are high, so once approved, a new applicant may be placed on a waiting list. Because of the unique nature of our facility, our staff fields questions from potential residents and their families from all across the South. To speak to a representative or to set up a tour, call 601-420-7760.